The Department of Information Technology was established in the year 2013 as a solitary and integrated department. The Department of Information Technology is headed by Mr. Wilson Rao with a full-time faculty Ms. Ummehani Saiyed and some senior visiting faculties. The faculty of the Department also expertise in the areas of Information Technology. Mr. Wilson Rao being the IT Administrator handles entire infrastructure of the college. Along with this, he is also a member of IQAC, Admission Committee, NAAC Criteria IV Member and Placement Cell. Ms. Ummehani Saiyed is also a member of Admission Committee. Realizing that the industrial visit is considered as one of the most strategic method of teaching, the department has organized a three day trip to Pune-Mahabaleshwar for students. 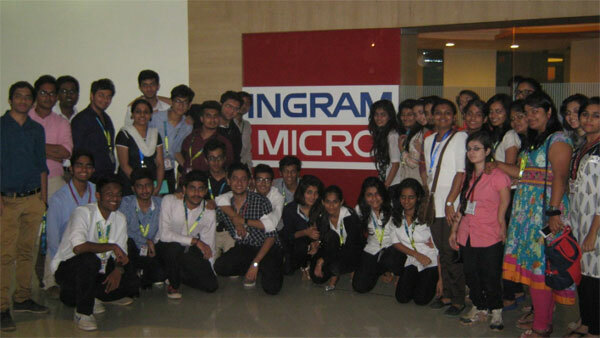 By visiting companies like Ingram Micro and Bytespan Prosoftex, the students got an opportunity to learn practically through interaction, working methods and employment skills. They gained sufficient technical knowledge to play a key role in an IT environment and developed problem-solving and modeling skills appropriate to IT-related business operations. Exchange of notes and assignments through Virtual Classroom - Edusync. Incorporating Sessions of Brainstorming for active class participation. To strike a balance between examinations and assessed coursework as well as providing opportunities for feedback on progress through non-assessed work. Parent teacher meeting are held for students every year. Ms. Sunita Jena specialized in Network Security, Web Technology and Quantitative Techniques. Ms. Amita Walawalkar specialized in Linux Administration, Applied Mathematics and Computer Graphics. Ms. Agnes Xavier specialized in Procedural Programming and Multimedia.